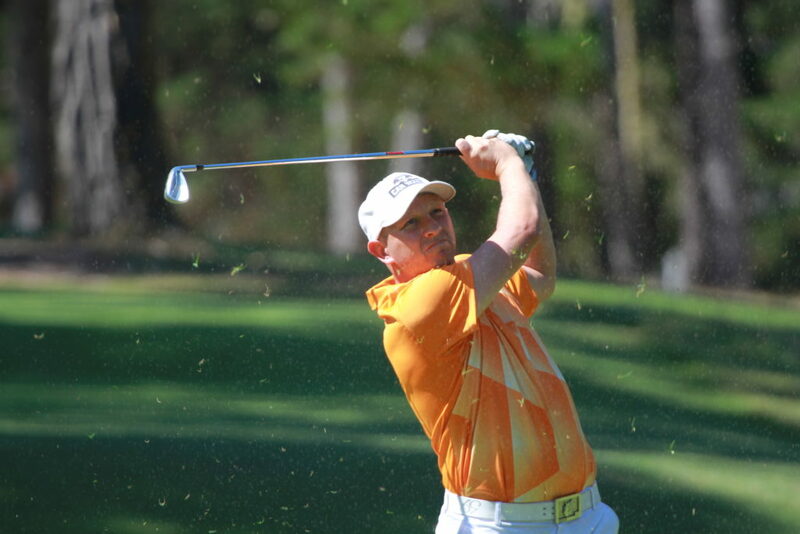 Fairfield resident Jason Anthony had one goal in mind after getting his amateur status back in 2012—win NCGA Player of the Year. In 2014, he’d get as close as possible, finishing runner-up to Trevor Clayton. A year later, he’d finish fourth in the standings. Finally, Anthony can say mission accomplished. The 34-year-old, who competed as a professional on the Mackenzie Tour (PGA Tour Canada) from 2008-2011, won the 2016-2017 title with a total of 2,020 points. Finishing in second place was Southern Methodist University sophomore Daniel Connolly at 1,663. “It means a lot to me. It’s something I’ve been trying for since I got my amateur status back,” Anthony said. Anthony started the season by claiming his first NCGA title with a win at the 2016 NCGA Mid-Amateur Four-Ball Championship with partner Randy Haag. As for his own fortunes, there still however would be a monkey on his back. In March, he reached the quarterfinals of the San Francisco City but then lost. A month later, he’d finish third at the Alameda Commuters. At the NCGA Mid-Amateur Championship in June, he had a chance to win but lost in a playoff to eventual winner Bobby Bucey. Finally, in August he broke the door down with a victory at the NCGA Valley Amateur, coming from three back in the final round to defeat Connolly. Anthony’s 134 total would be just a stroke off the 36-hole championship scoring record of 133, co-held by Clayton (2014) and Steven Chung (2009). “Before that Valley Am win, it was like the Rules and Competitions believed in me more than I believed in myself,” Anthony said. A week after the Valley Am, the Fresno State grad grabbed 280 more points by reaching the quarterfinals of the NCGA Amateur Match Play Championship. He’d later tack on 100 points by reaching the Round of 32 at the U.S Mid-Amateur. San Jose resident Sabrina Iqbal has already left her mark on the Junior Tour of Northern California. As of November, the 16-year-old Pioneer High senior had racked up 25 JTNC wins, shattering the previous record (18) held by former phenom Casie Cathrea. Now, Iqbal is leaving an impression in the NCGA ranks. She’d capture her second straight Women’s Player of the Year title, finishing the 2016-2017 season with 1,600 points. Coming in second place was Redwood City’s Lucy Li at 635. Headed to Texas Christian University in the fall, Iqbal started the year off by capturing her second straight San Francisco City Women’s title. She’d become the first back-to-back winner since Cathrea. Later in June, Iqbal won her first NCGA women’s title with a seven-shot victory at the annual NCGA Women’s Amateur. With the win, she joined a group of players who have won both an NCGA title and a California Women’s Amateur Championship title (she won the CWAC in 2016 on the hallowed turf of Pebble Beach Golf Links in her debut). A month later, Iqbal continued to rack up points. She’d qualify for the U.S. Women’s Amateur (150), finished tied for second at the NCGA Junior (155) and reached the quarterfinals of the California Women’s Am (250). Iqbal picked up golf from her father, Shaheen, a PGA teaching professional at Los Lagos GC in San Jose. She’d also hone her skills as a Santa Teresa Youth on Course member. “My success has driven me to continue and finish this part of my golf career as best I can,” Iqbal said. With a record six NCGA Player of the Year titles under his belt, Randy Haag has already set a standard. Not surprisingly, Haag has again set a new bar. In just his second full season as a senior (age 55-over), the now 58-year-old longtime Olympic Club member captured the 2016-2017 Senior Player of the Year title by tallying 2,266 points in just nine senior starts. Finishing in second place at 1,976 was record five-time Senior Player of the Year Jim Knoll. Haag is the first player in NCGA history to earn both Player of the Year and Senior Player of the Year honors. 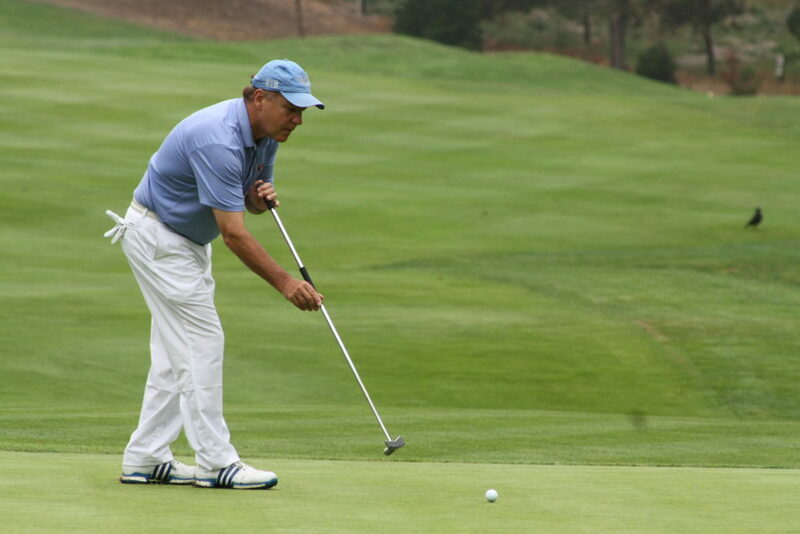 Coming off a runner-up finish in last year’s standings, Haag started his season with a win at the NCGA Mid-Amateur Four-Ball (with partner Jason Anthony) and a runner-up finish at the California Senior Amateur. In April, he’d earn 200 more points by going back-to-back at the NCGA Senior Four-Ball with partner Chip Lutz. Later in the season, Haag added another 725 points via a runner-up finish at the NCGA Senior Championship and a win at the NCGA Senior Amateur Match Play. Overall, in his 15 total starts, Haag finished in the Top 5 a dozen times. In 2016, Lynne Cowan had to mount a huge comeback en route to winning Senior Women’s Player of the Year honors. This time, it was the 55-year-old Sierra View CC member who was the one everyone else was chasing. Cowan, who resides in Rocklin made it two in a row after yet another solid year. She’d finish the season with 1,050 points. Coming in second was Olympic Club member and former Curtis Cup captain Pat Cornett at 838. 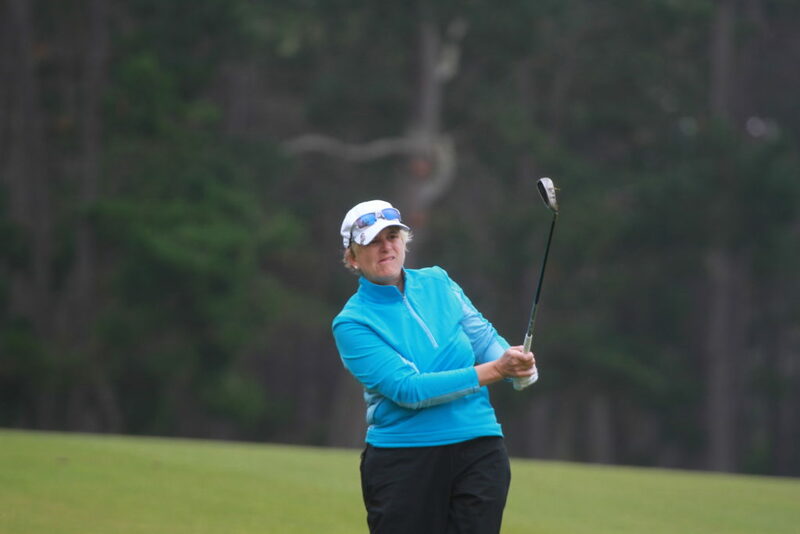 In May, Cowan made her first big move with a second place finish at the annual Senior California Women’s Amateur Championship at Quail Lodge Resort. A month later, she’d capture the NCGA Senior Women’s Amateur by an eye-popping nine shots. With the victory, Cowan, not only joined Cornett as the only players to win back-to-back titles, but also tied Cornett for the most Senior Women’s crowns. The win also marked Cowan’s 11th career NCGA or California Women’s Amateur title, which moved her past Marianne Towersey in that category. Later, in September, Cowan earned another 210 points by reaching the Round of 16 at the U.S. Senior Women’s Amateur. She’d also help represent California in the final U.S. Women’s State Team Championship. These days, California Golf Hall of Famer Gary Vanier spends a majority of his time fishing in Idaho. Still, the now 67-year-old remains a force in the amateur golf circle. Vanier won his second straight NCGA Super Senior Player of the Year title, finishing the season with 1,557 points. Placing second was Woodbridge GCC member Chuck Richesin at 1,384. In 13 overall starts, the Stanford alum had eight Top 5 finishes. He’d start his season by finishing third at the 2016 NCGA Super Senior Championship. At the 2017 Super Senior Championship, Vanier defeated Jim Knoll in extra holes, becoming the first two-time winner of the championship. The victory was also Vanier’s ninth as an NCGA senior, tying him with Jim McMurtrey for the No.1 spot on the career NCGA senior win list. 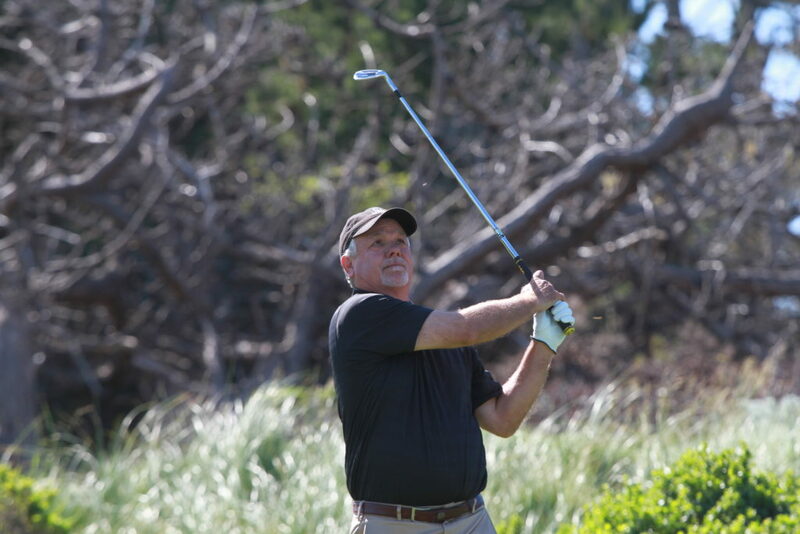 Other highlights of Vanier’s season include a win at the San Francisco City Senior and runner-up finishes at the NCGA Senior Four-Ball Championship and Sacramento County Senior Championship.